Principal of Upwey South Primary School Damien Kitch, with students and Member for Monbulk James Merlino. Reach 4 Your Future Foundation and World Vision Australia have embarked on a solar lighting project that will benefit children who have no access to electricity. 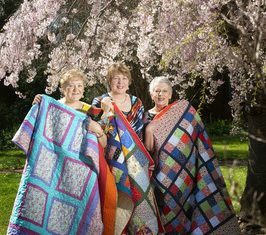 Upwey South Primary School, together with Belgrave South Primary and Upwey High, are making that dream a possibility. 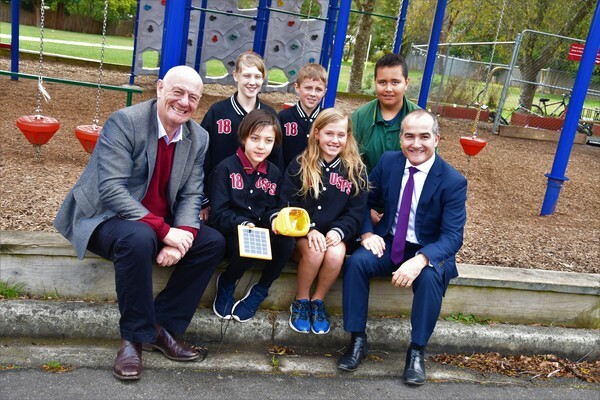 On Monday 6 August, at Upwey South Primary School, the Monbulk MP and Education Minister James Merlino joined World Vision chief advocate Tim Costello to launch the STEM for Social Action project. The project involves students from schools in the hills community joining together to raise funds to buy solar lights to provide for students and communities in third-world countries. The Solar Lighting Project aims to provide children from the Uganda Refugee Camp, Cook Islands, Fiji Islands and Solomon Islands with solar lanterns to help them with their school work and enhance their safety at night. Mr Merlino opened the ceremony and spoke about his own father’s experience in connecting electricity in Italy in 1961 and how that despite advancements in “modern technology, work still needs to be completed globally to provide equity for all”. He also spoke of the importance of science, technology, engineering and mathematics (STEM) as a key focus for local schools. Upwey South Primary principal Damien Kitch spoke to the Mail about how the project gave a global focus to local learning. He said students would learn about the physics of solar energy and electricity, as they intended to build the solar lights themselves before the lights were shipped overseas. “This social action by local students will provide key health benefits with the reduced need for kerosene to cook food and provide light for communities in third-world countries,” Mr Kitch said. “The conversation came up with our students about how kids in third-world countries can do their homework without power and what we can do about it. Mr Kitch described the program as a great collaborative effort between all the schools. “It’s a really good opportunity for all the schools to come together for a genuine good program – it’s the right thing to do,” he said.